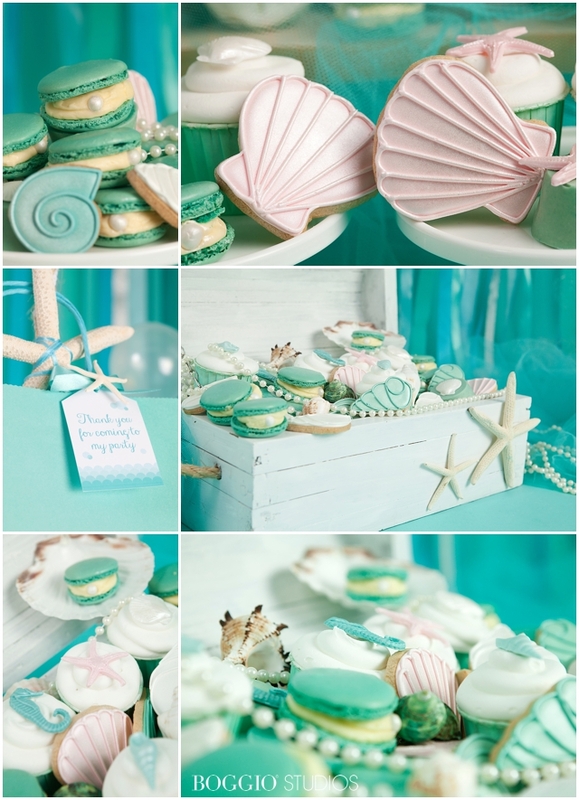 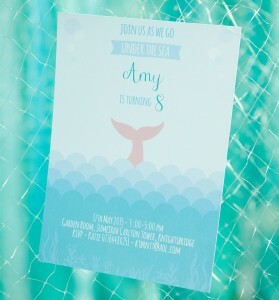 Is there a little mermaid in your life and would this scene be her perfect party theme? 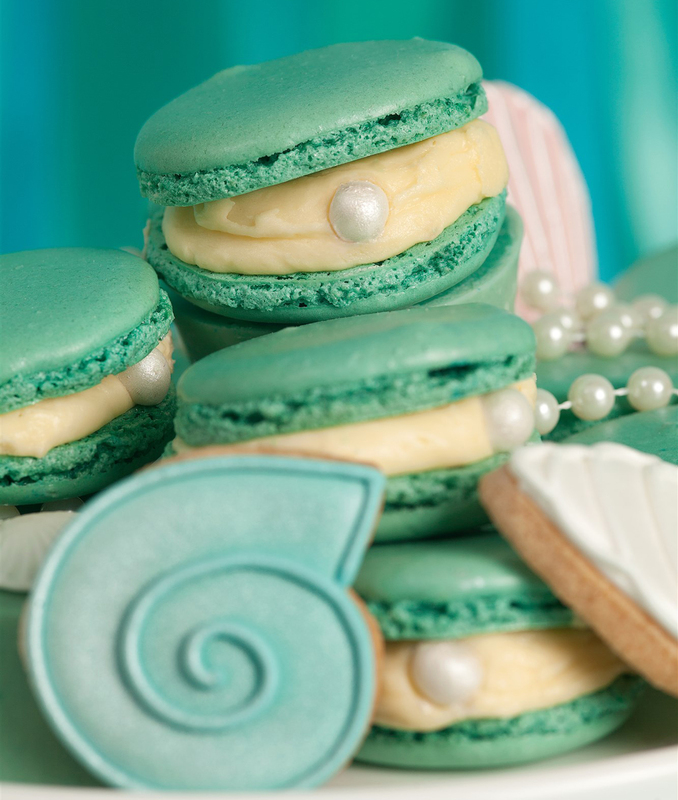 Well if so, look no further as we advise on how to recreate this look. 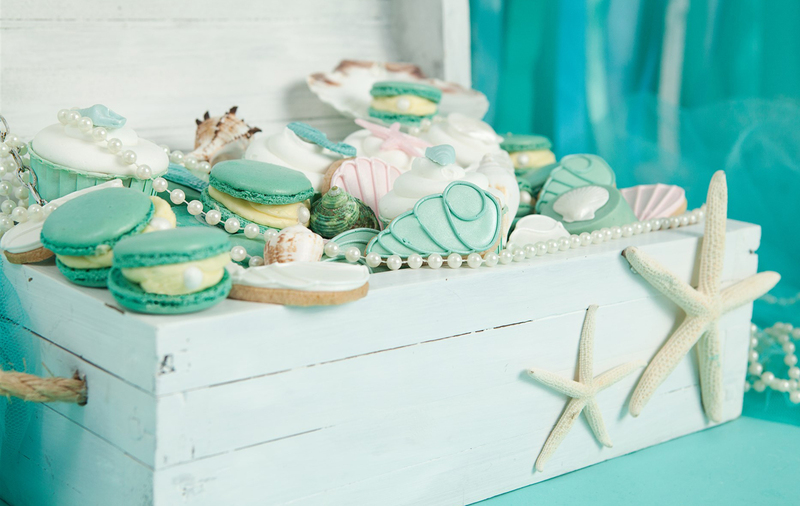 A lot of the sweet treats we made are quite inexpensive which is great or you could have a go at making them yourself. We did a combination of cupcakes in gorgeous aqua cases topped with sugar shells (from a shell mould), shell biscuits, macaroon oyster shells which are so cute and aqua coloured chocolate dipped Oreos. 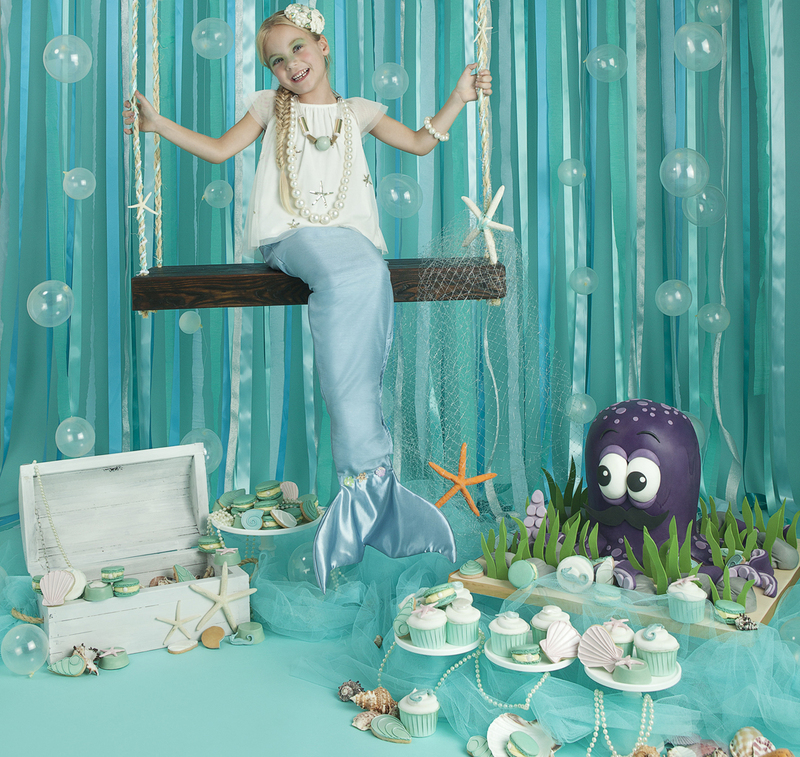 We wanted our mermaid swinging between all of her treats but if you are going for a more traditional dessert table set up, the mixture of netting, real shells, pearls and the sweet treats is bound to look stunning. Adding in a bespoke cake does increase the cost of the party but is well worth it for the photo opportunity as well as something else that is yummy to eat. 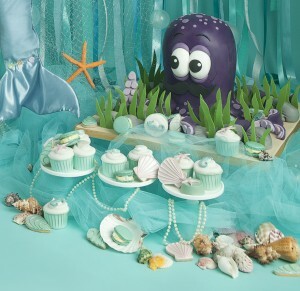 We loved our friendly Octopus but something a little more girly is also possible and there are plenty of examples of these kind of cakes on our website and you can send us images to work from as well. 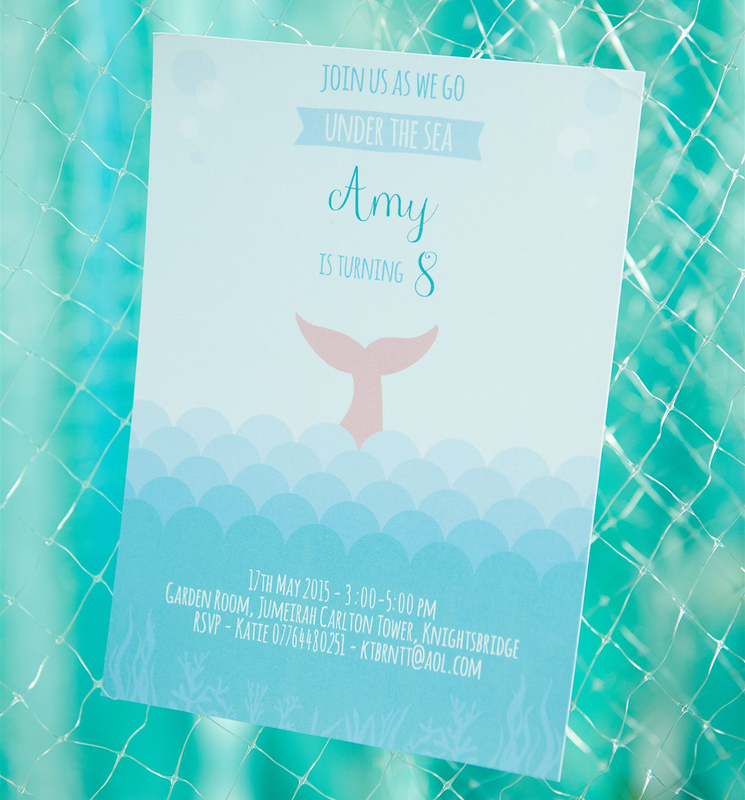 The lovely themed invitations were designed by the clever ladies at Les Enfants. 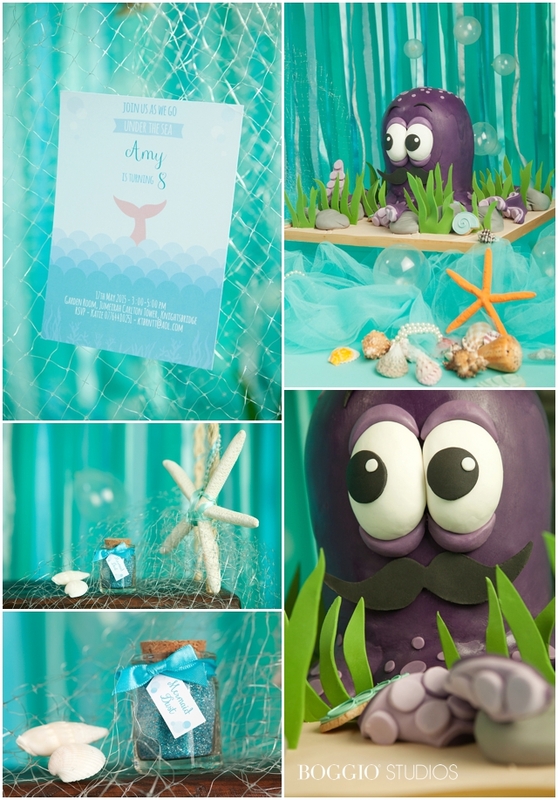 They work with any themes and come up with the most creative of ideas sure to wow your guests from start to finish.